Carrier Class Performance. Breakthrough Price Points. 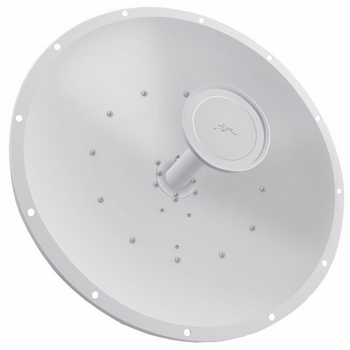 Instantly pair with Rocket M365 to create powerful 2x2 MIMO PtP Bridging applications. Full mating bracket and weatherproof RF jumpers included. • Hpol Beamwidth (6dB): 7 deg. • Vpol Beamwidth (6dB): 7 deg.